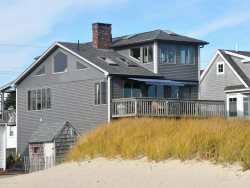 Here at Jean Knapp Vacation Rentals we understand what makes a vacation home right for our guests. We make it our business to find vacation rentals of the highest standard that go above and beyond our guest's expectations. By providing the finest in vacation rentals we can ensure that our guest's vacation is a success no matter which property they decide to stay in. procedures to be followed at your home. on the area with suggested vacationing ideas! o Property owner resolves property issues that arise. The Rental agent may be contacted by the renter. In that event, they contact the property owner.